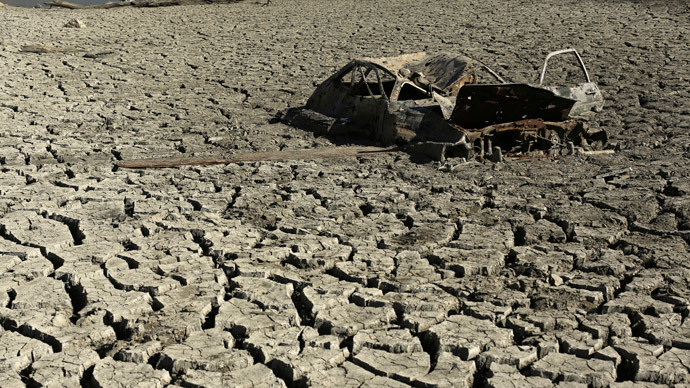 California’s governor issued the state’s first mandatory water restrictions amid a devastating four-year drought. California may only have a year’s worth of water left, and snowpack measurements for the year are set to hit record lows. Governor Jerry Brown (D) made the announcement Wednesday at the Phillips snow course, near Sierra-at-Tahoe ski resort, during the state’s annual snow survey, where state officials measure the snowpack in the Sierra Nevada mountain range. Early data shows the snowpack in the range is lower than any year since 1950, and it was the first time in 75 years there was no snow at the Phillips location, which averages more than 66 inches on April 1, KTLA reported. 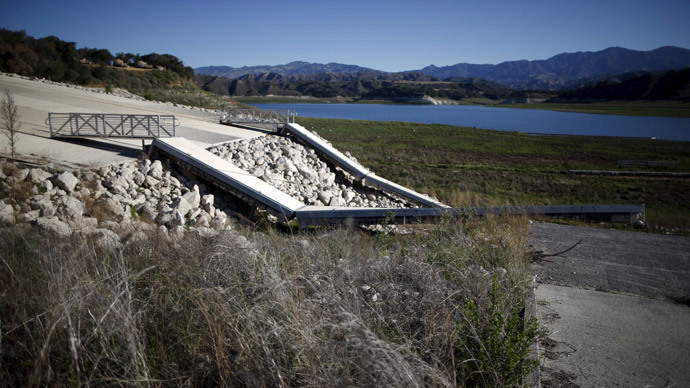 Brown signed the executive order, mandating cities and towns to reduce water usage by 25 percent over the next nine months to save approximately 1.5 million acre-feet of water “or nearly as much as is currently in Lake Oroville,” the statement said. 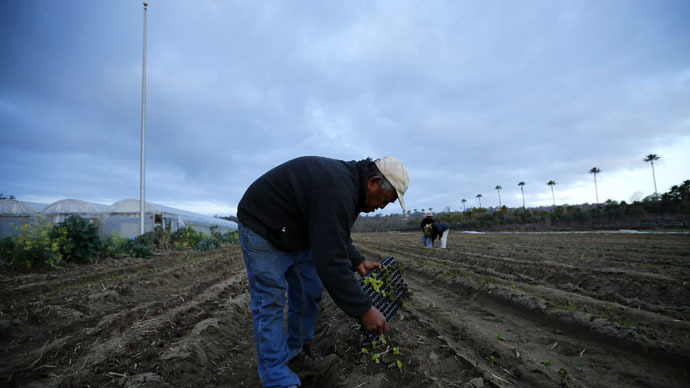 California will also increase its enforcement against illegal diversions and waste and unreasonable use of water by requiring agricultural water users to report more water use information to state regulators. Standards for Agricultural Water Management Plans submitted by large agricultural water districts will be strengthened, while small agricultural water districts will have to develop similar plans. 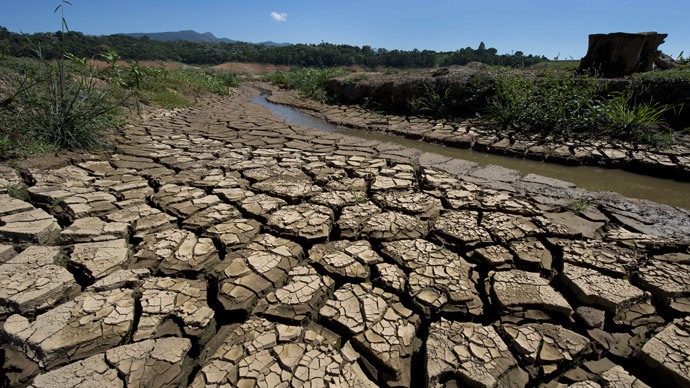 “These plans will help ensure that agricultural communities are prepared in case the drought extends into 2016,” the statement said. Brown had already called on business, farms and residents in the state to cut water use by 20 percent. Similar measures were considered during California's 1970s drought but were never implemented, according to the governor's office. The timing and location of Brown’s announcement is significant because snowpack accounts for about 30 percent of California’s water supply as it melts. April 1 is considered to be the peak snowpack date, but some locations in the Sierra Nevada are at two percent of what would be considered normal levels, while others are already snow-free. “We’re not only setting a new low, we’re completely obliterating the previous record,” David Rizzardo, chief of snow surveys and water supply forecasting, said in a conference call with reporters. The previous record was in 1977, when the state’s population was half as big as it is now, Tom Painter, the principal investigator for NASA's Airborne Snow Observatory told the Verge. Frank Gehrke, chief of snow surveys with the California Department of Water Resources (CDWR), told NBC News that the lack of record-low snowpack doesn’t just affect skiers this winter. It “has very severe ramifications for what's going to flow into the reservoirs come next spring and summer,” Gehrke said. On top of the lack of snowpack, the lack of water within it is of concern as well. Electronic readings on Wednesday at about 100 stations across the range showed that the water content of the snow was only about five percent of the state average for April 1, the Los Angeles Times reported. Wednesday was the first time since 1950 ‒ when record-keeping began ‒ that the amount of water in the snow has dipped lower than 25 percent of the historical average for April 1. Over-tapped groundwater may lead to an under-tapped California industry other than agriculture: Brewers in the state worry that a lack of water could change the taste of beer brewed in the state, RT’s Lindsay France reported.